Hello Sara, I will tell you about my story. My name is Federica, I am 32 years old and since I was 12 I have been without my mother. I suffered intensely when I lost her, I was looking for an explanation for it, why it had to happen to me…. I read many books that talked about the contact with our loved ones, because they gave me a little comfort, then last year I bumped into your website, in my opinion it was a gift from the Sky, because it brought a lot of serenity to my life. 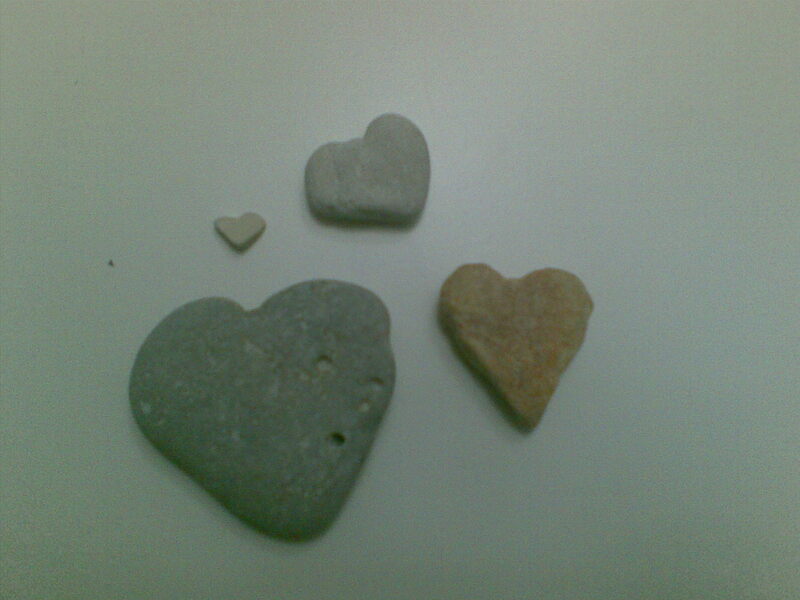 This year, for the first time ever, I went to Medjugorje and since then every now and then I find hearts around me. The pink/orange one was the very first one I found. I was on the beach, sitting on a large rock, and the heart was right there close to my feet, I can’t tell you how happy I was!!! In any case, every time I find a heart it’s such a great joy for me. My vision of life changed drastically, especially in one aspect: I no longer feel alone. I invite everyone to surrender to the Love of God, even when we feel that everything around us is black. He is always there, we just have to let him into our heart.